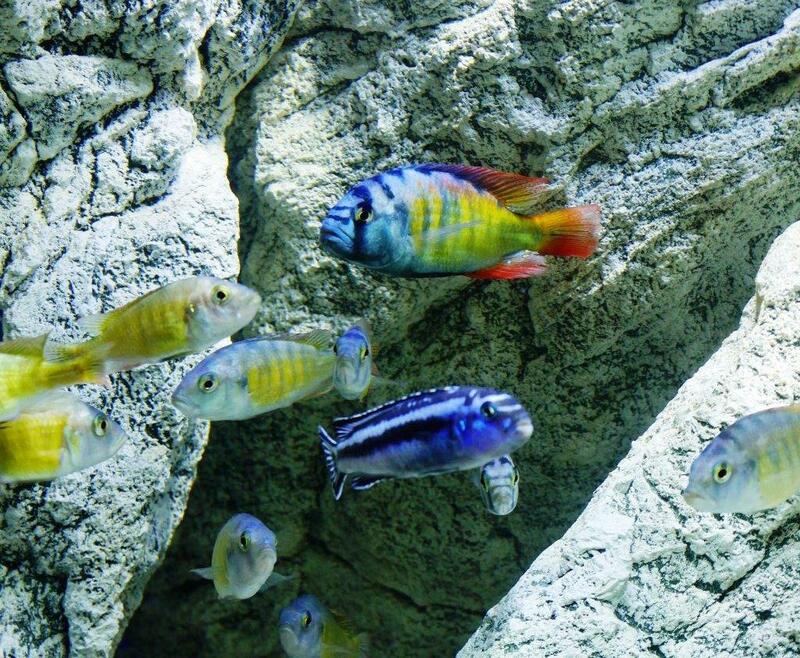 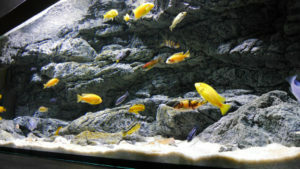 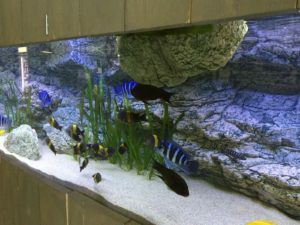 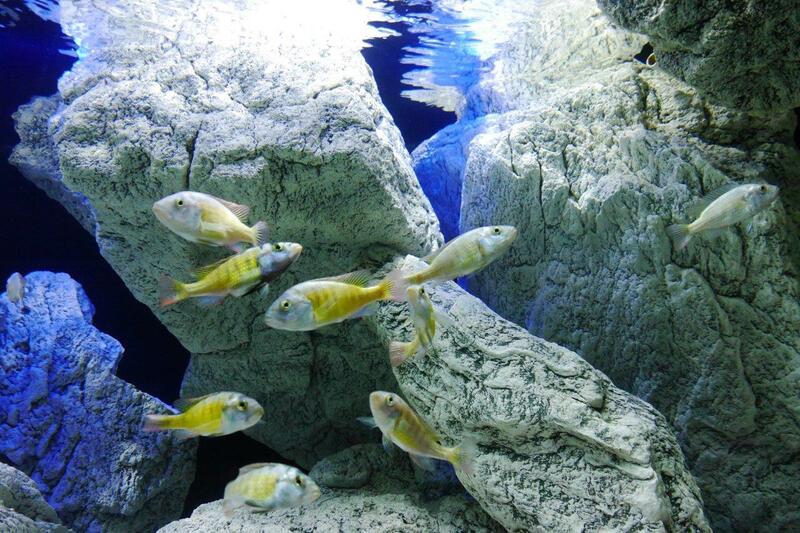 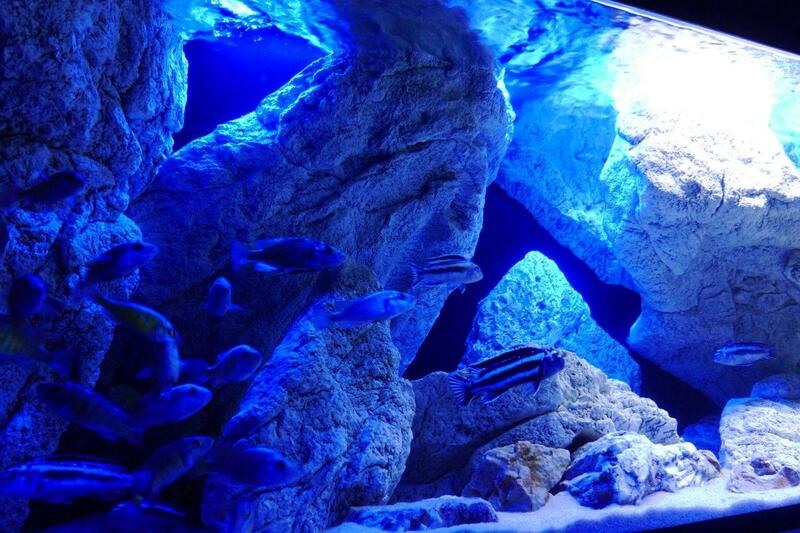 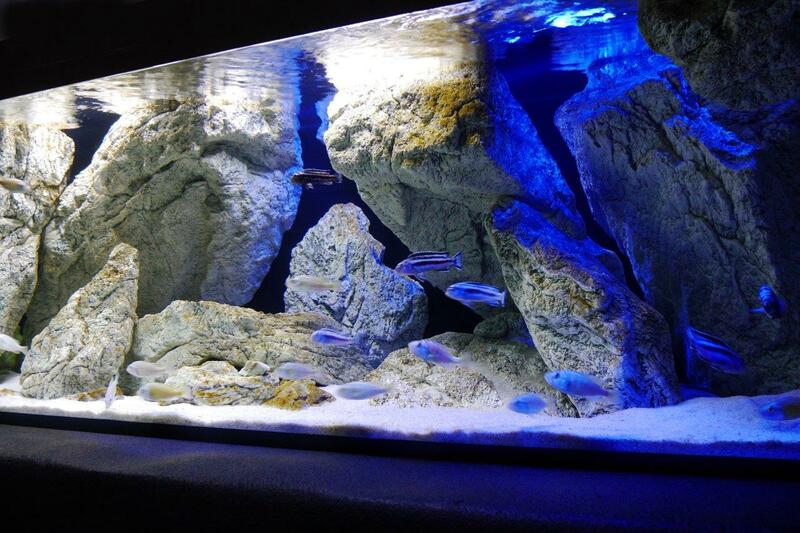 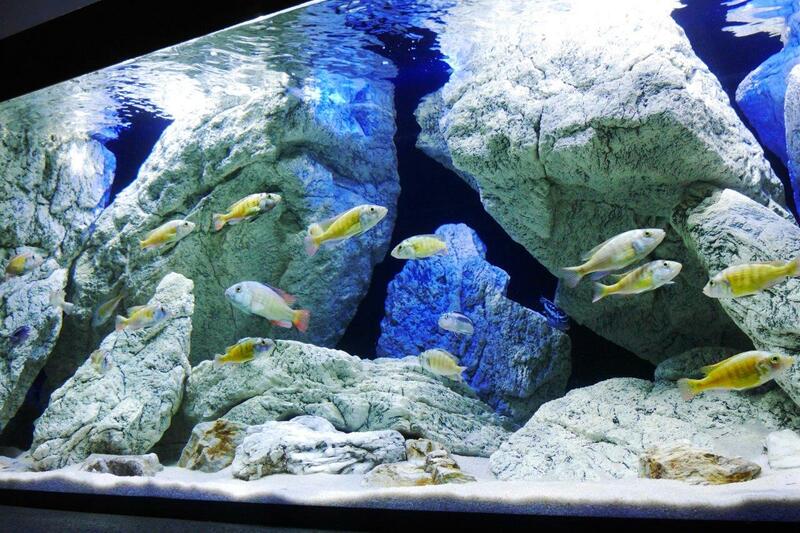 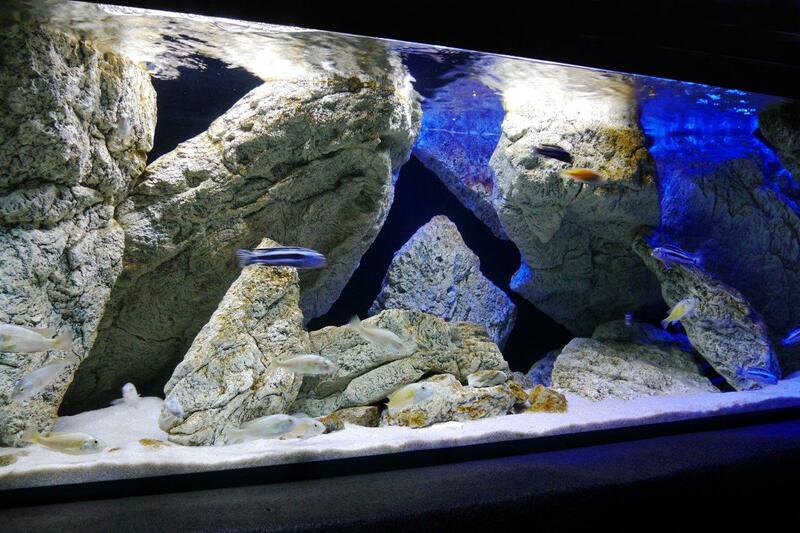 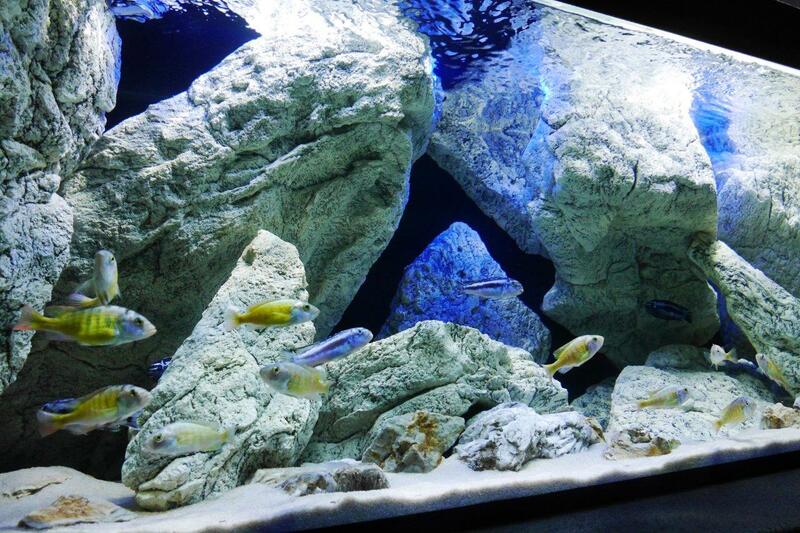 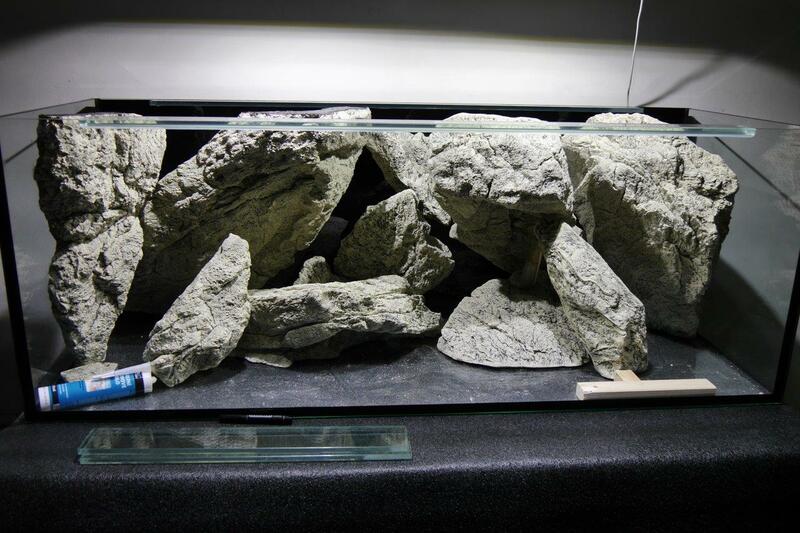 Aquarium cichlid tank 160x60x60 cm with White ARSTONE module rocks A, O, Xx2, X0, Qx2, E, M0, G. The overhanging rocks – M0, E, Q. 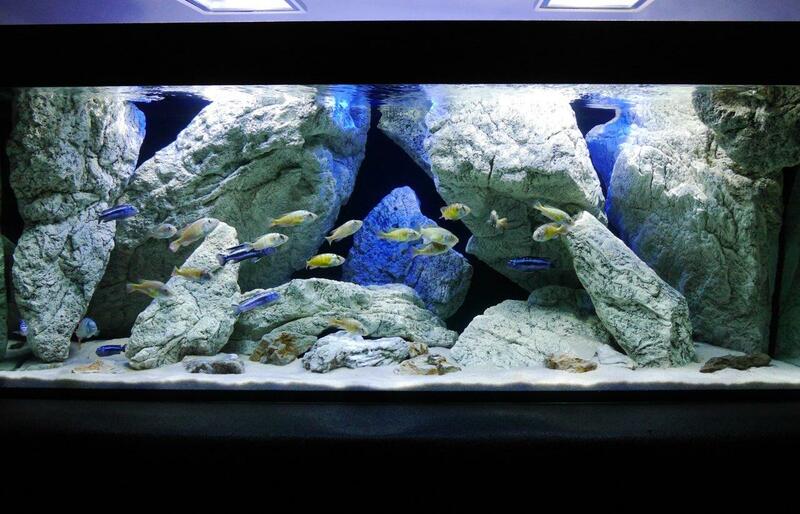 The fish inside: Melanochromis maingano & Haplochromis ch 44. 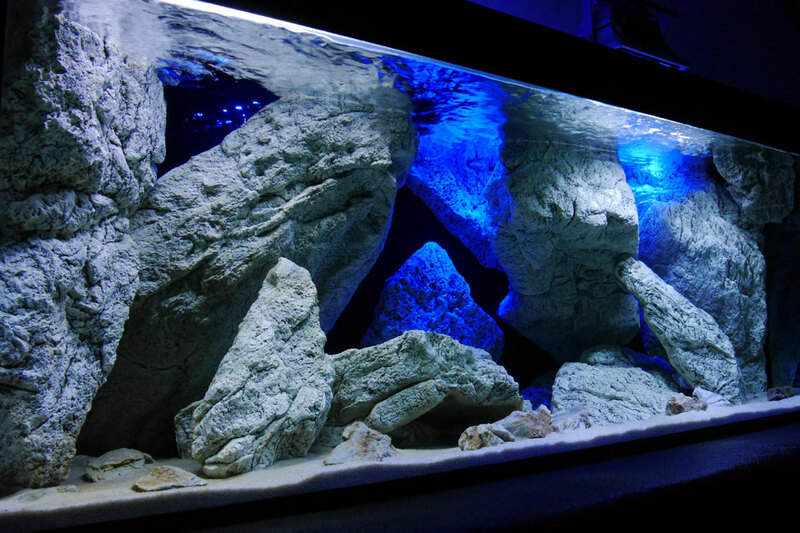 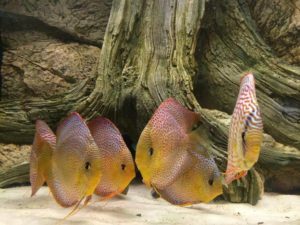 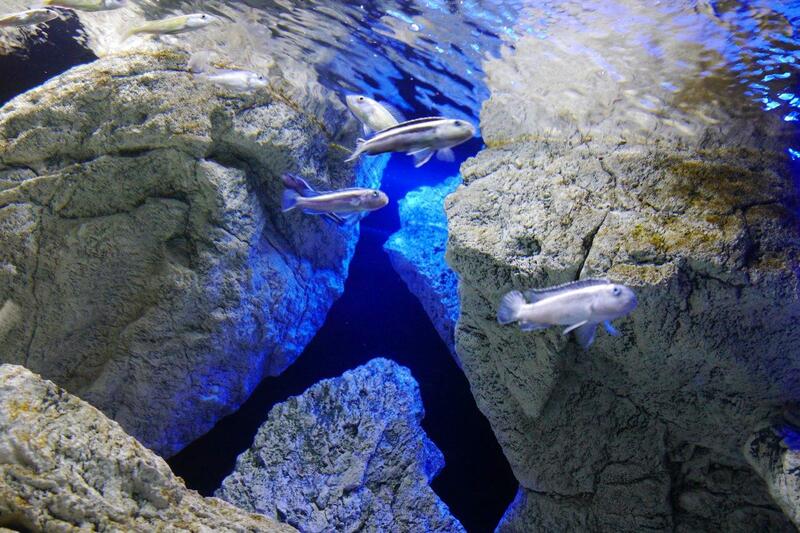 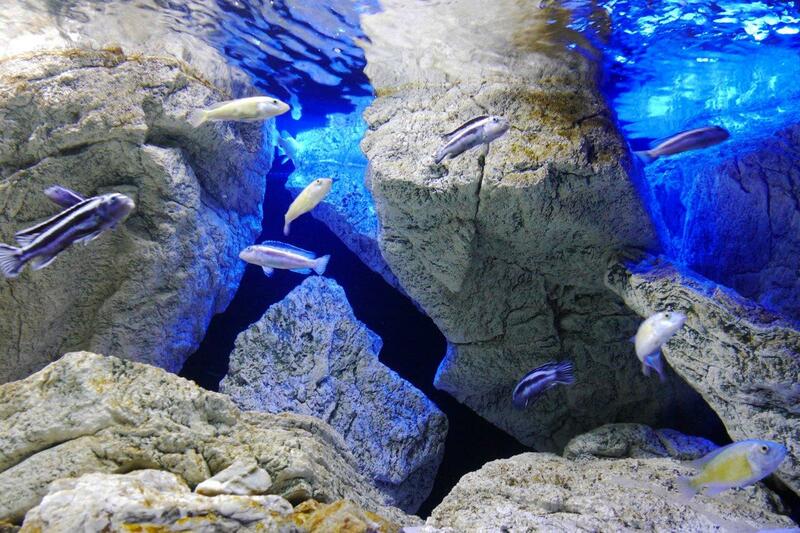 The conception of the tank is to create the maximum volume effect and shelters for fish. 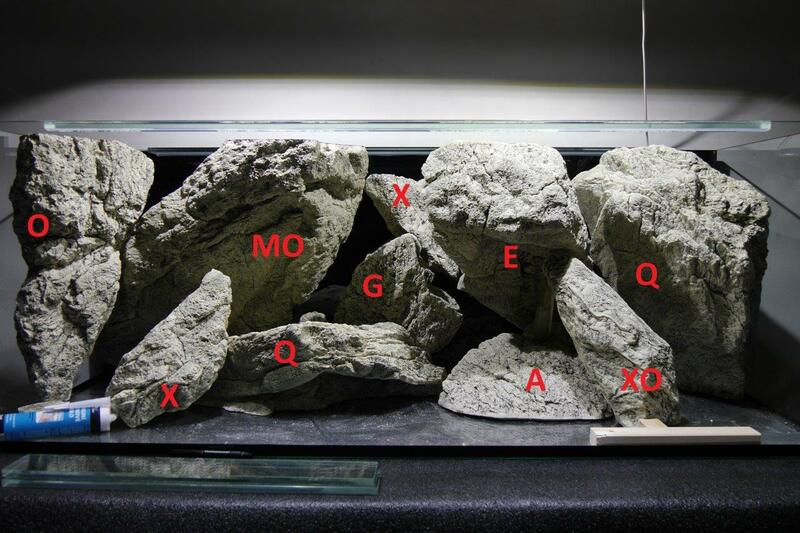 Thus the hanging rocks were used (M0, E, Q). 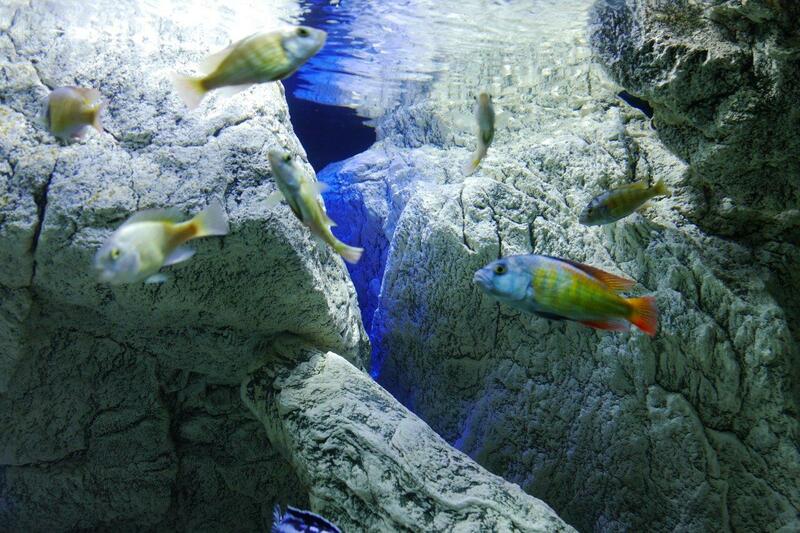 The space behind the hanging rocks is 100% functional as the fish will be freely swimming around them. 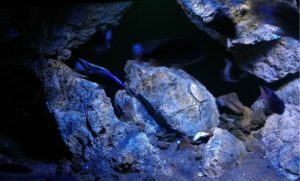 No space loss!